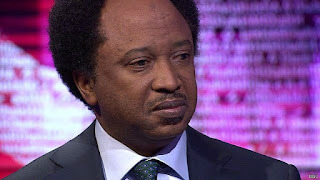 The Kaduna State chapter of the ruling All Progressives Congress (APC ) on Thursday warned Senator Shehu Sani to desist from attacking President Muhammadu Buhari or face expulsion. Sani who represents Kaduna Central Senatorial Zone in the Senate was said to have been placed on 11 months suspension for alleged indiscipline, disloyalty and anti party activities. Addressing a news conference at the party’s secretariat in Kaduna, the acting Publicity Secretary, Salisu Tanko Wusono, said Sani’s attacks on Buhari began last year, adding that the party decided to teach him a lesson by suspending him in the hope that he would amend his ways. “The APC Kaduna decided to teach Shehu Sani a lesson in party discipline in the hope that he will be reformed. He was placed on suspension, but rather than learn lessons; show remorse and work towards becoming a responsible Senator, he has chosen to continue to show disloyalty to the APC and President Buhari. “ Given his disregard for the party, the APC Kaduna State has no option but to take further disciplinary measures that may lead to his expulsion” Wusono said. “In speech and conduct, he has shown himself incapable of loyalty to our party, the APC and our great leader, President Muhammadu Buhari. “Having ridden on the back of our party and the popularity of Buhari to get to the senate, Shehu Sani has since abandoned any pretension to discipline or loyalty to any principle” Wusono said. According to him “ Sani pretends to be with the people, but his masters are the corrupt people on whose behalf he has been attacking our president. “How can a politician with any sense of discipline or commitment to the public interest fail to see that the fuel subsidy regime is bankrupt and is no longer in the interest of our people? “How can a Senator who passed a 2016 budget that has no provision for subsidy turn around to attack President Buhari for implementing the decision? “Shehu Sani’s attacks on President Buhari began last year. Before he was sworn in as a Senator, He had formed an alliance with a group of corrupt, disloyal and greedy men who defied our party, went against the wishes of the party and foisted a strange leadership on the Senate. “The gang that Shehu Sani joined had no problem making a PDP man as deputy President of the Senate, all in their selfish and ungoldly calculations for 2019. Shehu Sani followed up by attacking the President for fighting corruption,” he explained.